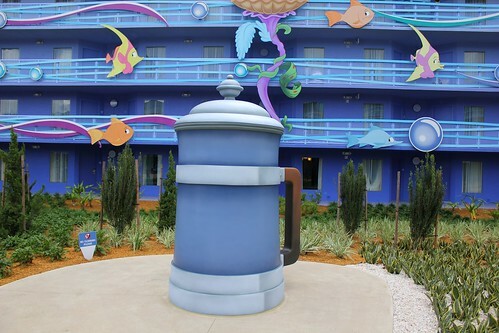 Walt Disney World has completed the newest addition to its lineup of more than twenty hotels. 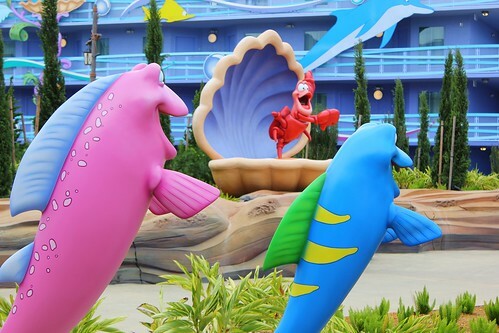 With the debut of “The Little Mermaid” wing, Disney’s Art of Animation Resort is now fully open for guests to explore and immerse themselves in four separate animated stories. 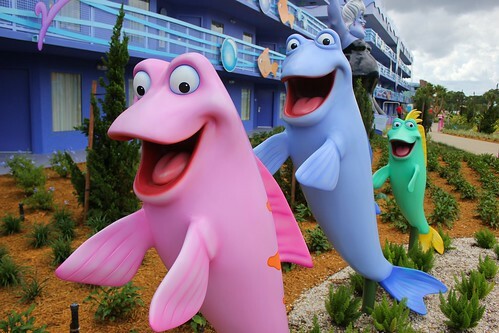 On Saturday, Sept. 15, 2012, the “Flippin’ Fins” pool, surrounded by larger-than-life characters, made its big splash along with 864 standard hotel rooms that sleep up to four guests. 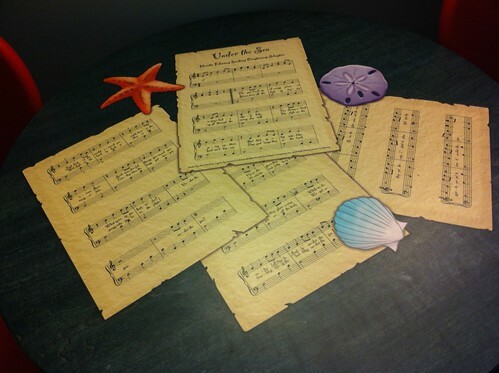 Take a trip under the sea with Ariel and friends in the video below. 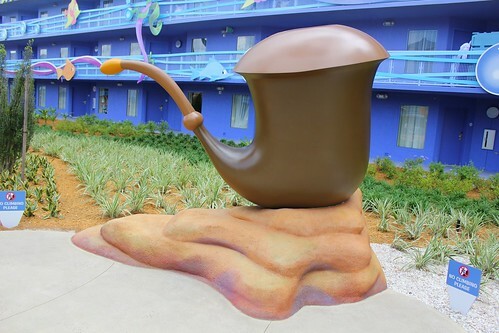 This wing of Disney’s Art of Animation Resort based on “The Little Mermaid” features one of three pools in the hotel, complimenting the “Big Blue Pool” in the “Finding Nemo” wing as well as the “Cozy Cone Motel” pool in the “Cars” wing. 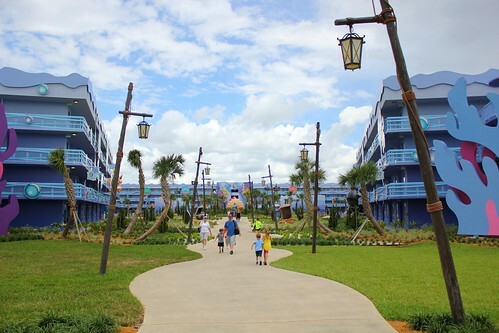 But whether guests stay in these wings or the pool-less wing themed to the jungles of “The Lion King,” all are invited to explore the entire resort and enjoy its many amenities. 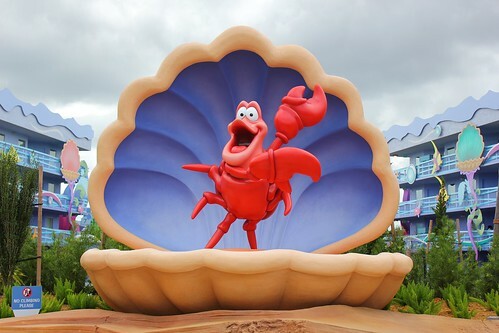 Characters prominently featured in “The Little Mermaid” wing include Ursula, King Triton, Prince Eric, Flounder, Sebastian, and, of course, Ariel herself. 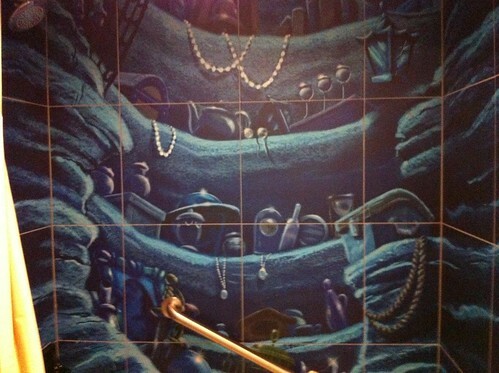 Inside the standard rooms, two twin beds or single queen beds fill the underwater-themed space, featuring colorful decorations along with plenty characters from the walls to the shower curtains. 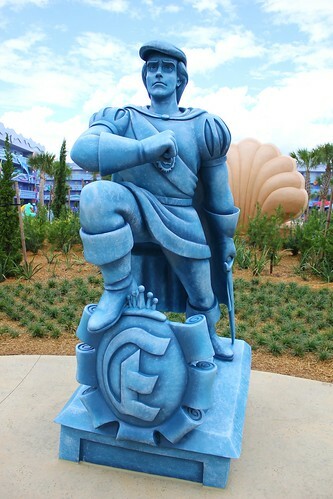 Our friends at WaltCastOnline.com, Shawn and Katie Bonneau, shared pictures from their opening weekend stay in the new wing. 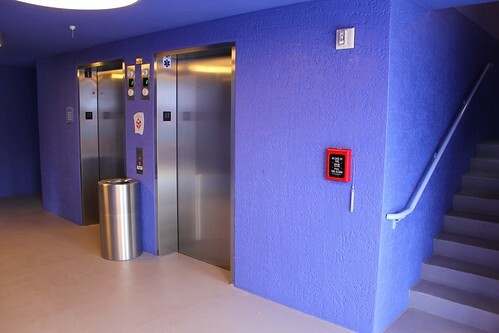 Unlike the other wings of Disney’s Art of Animation Resort, “The Little Mermaid” wing features exterior entry rooms, so there are no indoor, air conditioned hallways and elevators are located outside as well. 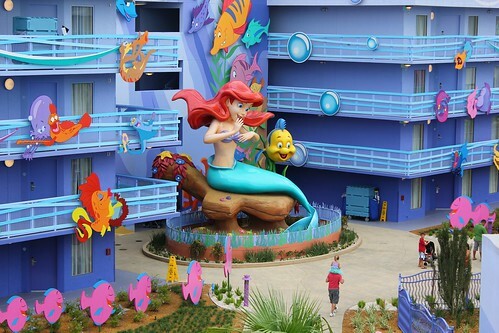 Nightly rates vary widely across Disney’s Art of Animation Resort, not only with each season throughout the year, but also especially between the standard rooms for “The Little Mermaid” wing, which start at $94, and the family suites of the other three wings. 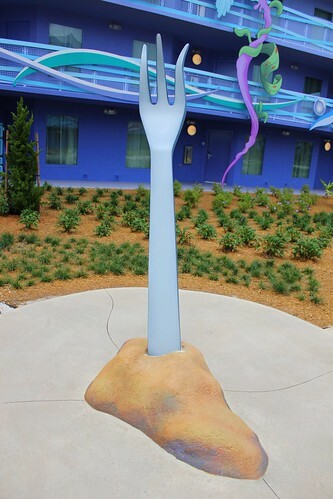 But whether staying there or not, all Walt Disney World guests can and should at least visit Disney’s Art of Animation Resort, explore its character-filled grounds, and grab a meal at its unique Landscape of Flavors food court, as this new hotel is unlike all others on property. Thanks so much for posting these pics! 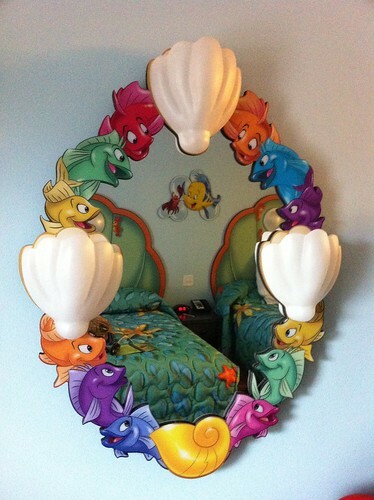 We are staying in the Little Mermaid section a few weeks before Christmas. Very excited! Tess, we are as well. Dec. 10-18th. Maybe we will see you there! If you see two women and a teenager, that’s us but we older women will be on bright yellow trimmed scooters! LOL – Have a GREAT trip! Time goes by so quickly, really. 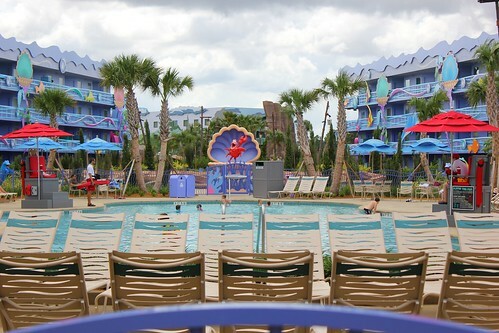 Soon you will be there before you know it! Have a good trip. 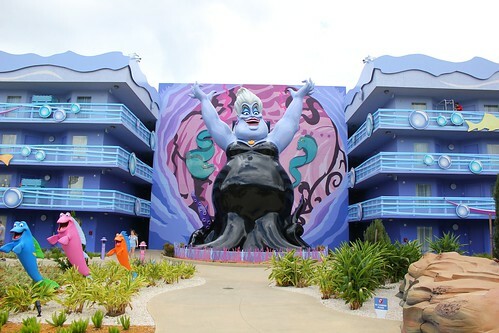 Can you tell me what building Ursula is near? My 7 year old will hate seeing her. I will want to plan to stay in a building or room that is away from her. 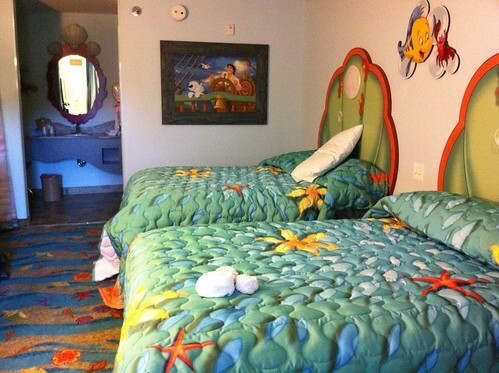 Also, are the rooms really TWIN beds?? How are you supposed to fit 4 people in there? They look tiny! Rebecca, there are two full sized beds in each room – we are going in October and plan to have 1 adult/1 child per bed to fit comfortably. 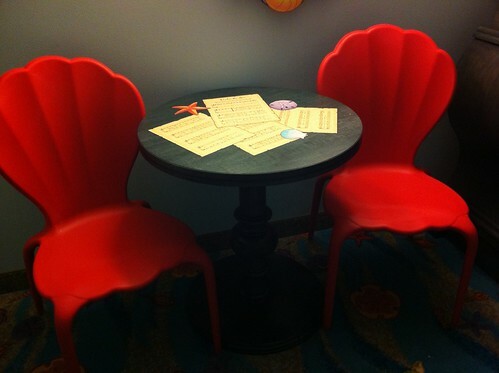 This is the standard layout for the value hotels in WDW. where can i send a negative comment about this wing which i beleive shoud be taken in consideration, but have no intention to affect anyone…? 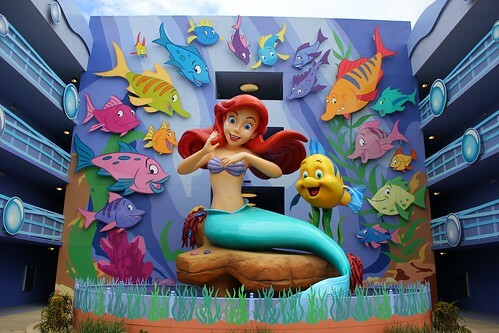 we will be going there on May 22 for three days and my 7 year old is so exsited to be going this is her frist time. GREAT article, thanks! We plan to say there December 2013. 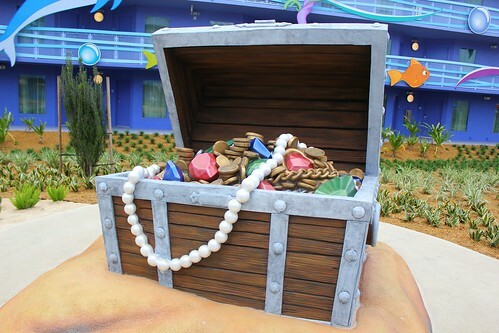 Last time we did Carribean Beach with the Pirate themed room, which was super cute, but FAR FAR away from everything else at the resort. 12 days !!!!!!!!! 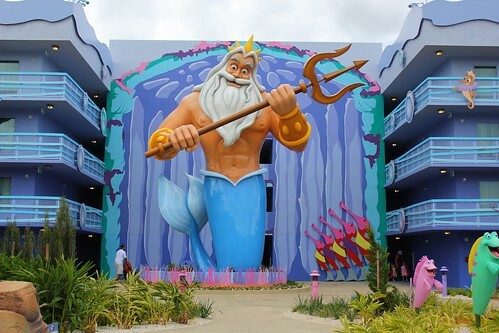 We start our road trip in 12 days from the IN/MI border 19 hours south to buena vista 🙂 we are staying 6 nights in a little mermaid room and can’t wait!!!! Hoping to get my niece to come visit. 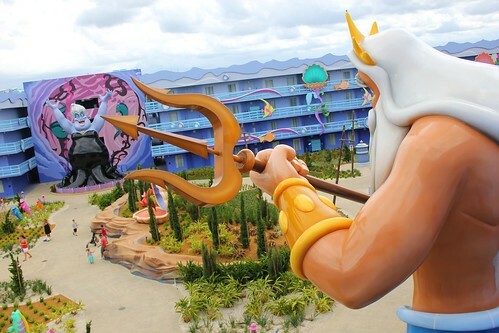 Can’t decide the Animation Resort or Animal kingdom. 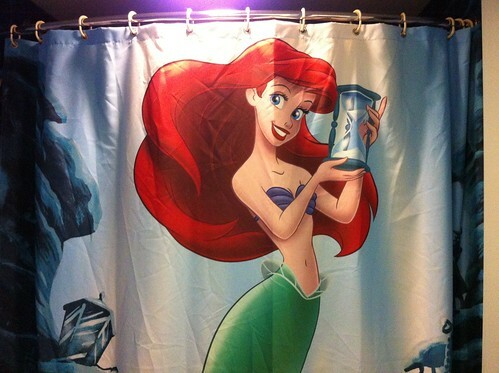 hmmm…. 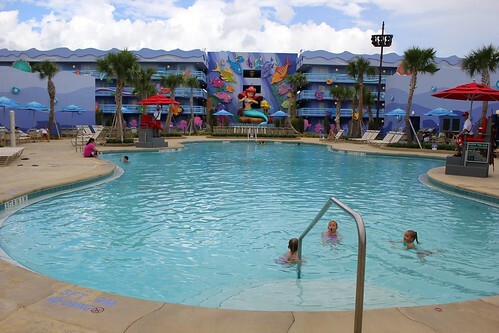 I love Disney we are staying in this wing at Christmas 2016, can’t wait. 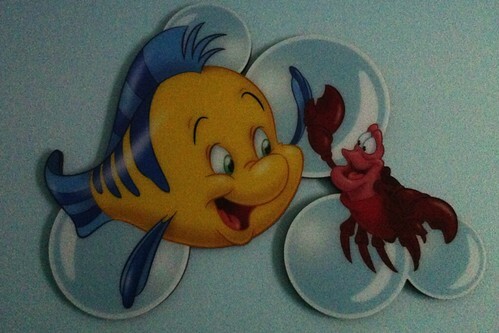 We stayed at Old Key West 2 years ago but we’re trying to lower cost, hope we are not disappointed. I doubt we will be because it is DISNEY…YIPPEE !!! !